John Passmore Edwards was approached by John Kirk, the Secretary of the Ragged School Union and Shaftesbury Society for help with funding of a further home for crippled children, which he suggested should be located at Bournemouth, where Capt. and Mrs Harrison had already rented a house as a temporary home. 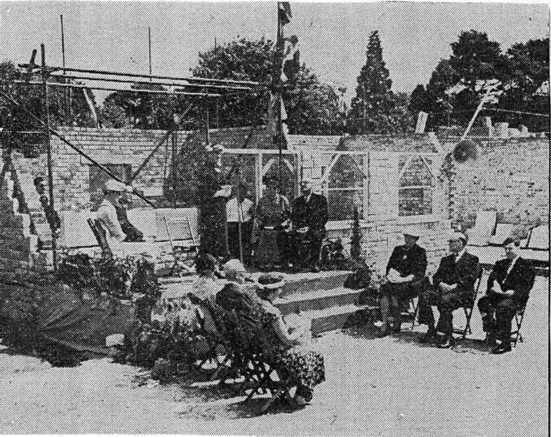 Passmore Edwards agreed and without a formal foundation stone laying Mssrs McWilliam & Sons, of Bournemouth were commenced building the home to the design of the architect, Frederick Warman. The home was opened on 14 June 1898 by the Marquis of Northampton, President of the Ragged School Union, who expressed his greatest satisfaction in being present to perform such a pleasant duty. He said that the Home could not fail to be of service, as many would by its assistance be strengthened, and others probably completely restored. Cases had occurred in some of the Ragged School Union Homes of children who came as helpless cripples, and returned able to walk; and all, whether their stay in the Homes was long or short, were more or less benefited. Their Bournemouth Home, to accommodate 20 children, was intended to be a home in the best sense of the word; and it would, strictly speaking, be a holiday home. Under the doctor’s advice and attention, the little ones would have good air, shelter, care protection and healthy and agreeable recreation. The Home was built close to Alum Chine and the sea in one of the most picturesque districts of Bournemouth. It originally catered for 23 children, the majority from London but occasionally including local boys or girls, under the control of Miss Scott, the Matron, with only two assistants. The staff undoubtedly worked very hard since some of the children were unable even to feed themselves. The average stay was usually six months but a few stayed much longer. 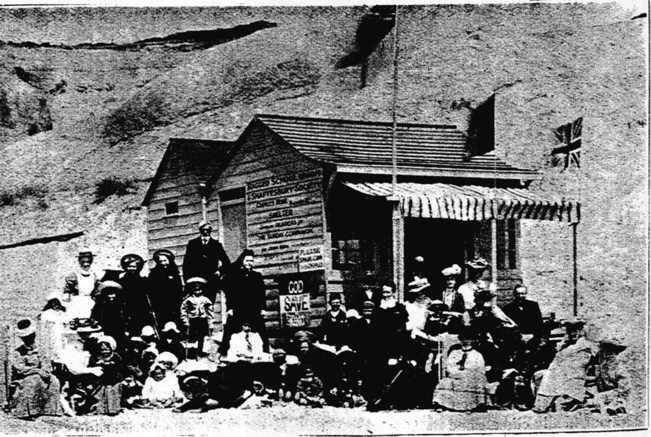 “Those that were able to walk were preparing to go down to the beach where they had a pleasant little shelter of their own which makes a splendid playhouse and prevents the children from getting wet in case of showers. Very gentle and kindly they appear to one another; one boy carefully lifting a tiny tot, partially paralysed, into a mailcart and wheeling him away. Indeed the question of locomotion is a difficult one, as it is not easy to ascend and descend Alum Chine and two nurses cannot wheel a dozen heavy boys and girls, or superintend cases continuously in a recumbent position, as many of these are, and so some day they are hoping that some charitably disposed friend will present a pony or donkey and cart to the Institution”. Whether as a direct result of this report is not recorded, but photographs appeared in the Shaftesbury Society Magazine of 1917 showing the children in a donkey cart outside the Home. 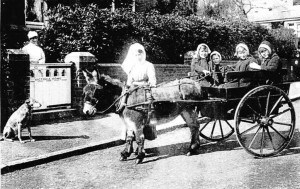 The cost of the maintenance of the Home was met by the Ragged School Union but the people of Bournemouth were ready contributors, providing £100 per year whilst local ladies gave of their time, teaching, visiting or generally amusing the children. Sometimes the children were invited out to tea in Bournemouth homes and many gifts of clothing or cakes were received. An annual concert was held in the Bourne Hall with the proceeds going to the Home. An additional wing was added in 1905, opened by the Lady Ashley, providing accommodation on the ground floor for children unable to be taken upstairs to the original dormitories. Previously the ground floor playroom had been converted into a dormitory for these children, and a temporary playroom established upstairs. 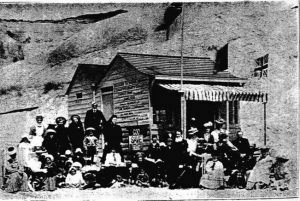 In November 1916, the winter gales wrecked the beach shelter that had been the gift of readers of the “Sunday Companion”. A new appeal was launched by the magazine to replace the shelter the following summer. Recognising the need to provide an education during the lengthy stays, part time teachers had been appointed but at the end of 1916 the Home was registered as a “residential school for crippled children”. At the beginning of 1917 Miss Amy Bradbury was appointed as the first full time teacher. The School log for 18 Jan 1917 records that there was no school during the afternoon in view of the opening ceremony by the Lord Bishop of London. At that time the Shaftesbury Society had more than 7000 names of handicapped children on their register, from 5 to 10 years of age, suffering from “tuberculosis or other diseases of bones or joints, crippling from infantile paralysis or accident”. 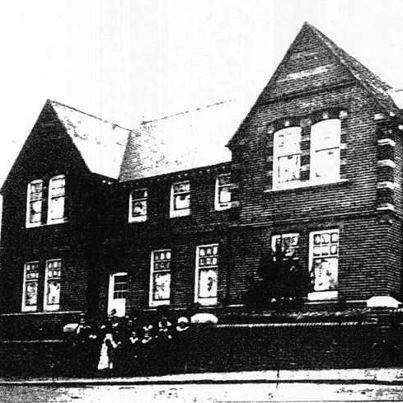 The Home and school continued to grow, an open air School House being erected in 1920, and in August 1925 the adjacent property, Hope Lodge, was purchased to be used entirely for sleeping quarters, increasing the accommodation from 30 to 52 children. Miss Gertrude B Dyer replaced Miss Bradbury as head teacher in 1919 and remained at the school until her retirement in 1944. Some 1168 pupils had passed through the School during her time. Classes were often conducted out of doors or on the beach and in September 1931, “38 of the best walkers were taken to Studland Bay”. Charles Irwin was one of the many children who passed through the home during this time. His account does not, however, paint the rosy picture given in the official files. The account of a young woman who went to work at the home in 1932 similarly paints a more rigorous life for both staff and pupils. As the types of handicap provided for became more severe, it became evident that the Almhurst Road premises were no longer adequate and a decision was taken in spring 1956 to purchase a new site and construct new purpose built premises at an estimated cost of between £50,000 and £60,000. The new Home, now the Victoria School, was opened at Lindsay Road, Branksome in 1958 in the presence of the Earl of Shaftesbury, president of the Shaftesbury Society, of which the Home is a branch. The new home was opened by his daughter, Lady Dorothea, who had also laid the foundation stone two years earlier. During the week there was a gala ball at the Bournemouth Pavilion which raised over £200 for the Home. The highlight of the evening was a visit to the Home by Cyril Fletcher, who sent a message of thanks from the children to the Pavilion by a relay of torch bearers. He later attended the gala evening to entertain the audience with his “odd odes”. At a total cost of £70,000 the new premises provided top floor accommodation for the nursing staff and a large well-equipped playroom on the ground floor, two classrooms, and a treatment room with indoor bath for water exercises. A lift was installed and children were accommodated in 4 “family “groups. The building was electrically heated with its own laundry, a sick bay and isolation unit, and is set in spacious grounds with outdoor paddling pool and a tennis court for the staff. Under Miss P Simmonds, Matron, Miss M Jones, headmistress, Miss D Forrester, physiotherapist, Mrs R Beale, Chairman, and the surgeons, nurses, teachers and other staff, the Victoria Home and School continued to serve. In the mid 1960’s the original Victoria Home in Almhurst Road was demolished and replaced with residential flats called Burnaby Court. Victoria School is run by national disability charity Livability. Livability was created in 2007 after a merger between the Shaftesbury Society and John Grooms.